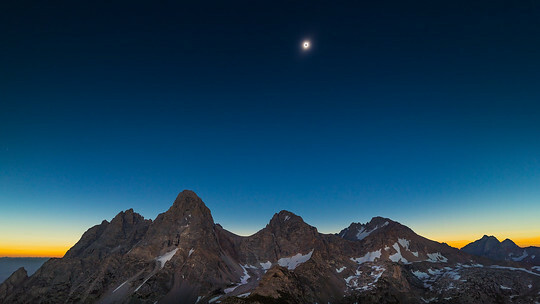 Eclipse over the Tetons from Phil Hart on Vimeo. I was booked in as a tour guide for the Great America Eclipse of 2017 back in 2014, three years before the eclipse. For three months beforehand, I worked solidly on planning and rehearsing photography and collecting and freighting gear from my home in central Victoria, Australia. Ultimately, this expedition involved 13 cameras at five different locations. 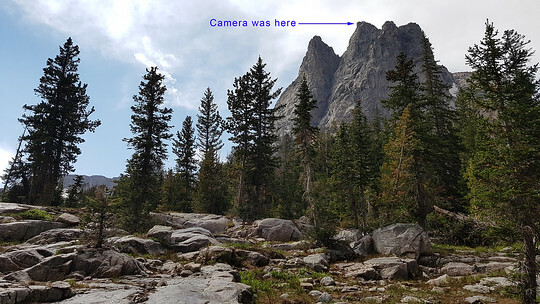 This is the story of the camera I planted on Table Mountain, with a direct view of the eclipse over the Grand Teton the Teton Range. After our accommodation plans fell through, our base for the eclipse moved from the east (Wyoming) side of the Tetons to the west (Idaho) side, staying at the Teton Peaks Lodge and RV in Tetonia. This meant that a hike I'd discovered in Aaron Linsdau's "Jackson Hole Total Eclipse Guide" was in reach, as it was accessed from the less populated side of the range. The hike that caught my eye was a 21km (13mile) round trip to the 3,387m (11,100ft) summit of Table Mountain, a rare vantage point that would put the eclipsed late morning sun in the south-east sky directly over the Teton Range (if the weather cooperated!). After a week fitting into the new timezone, location scouting and supporting my colleagues on the photography tour, Friday 18th August was the day to take my camera up Table Mountain before eclipse mania took over for the last two days before the eclipse. Walking solo up the Huckleberry Trail, with several kilograms of camera gear in my pack, I kept one hand near my can of bear spray - an unusual hiking accessory for an Australian. The trail started gently enough, but the steady climbing and increasing altitude kept the blood pumping. The trail climbed above the tree line into open glades, and then very steeply up to gain the ridge. With no opportunity to acclimitise to the altitude, the hike from here became strenuous and challenging. It was a slow plod to eventually reach the rocky outcrop around the summit, and scramble up through gaps in the rocks to reach one of the most impressive day hike summits I've ever been to. 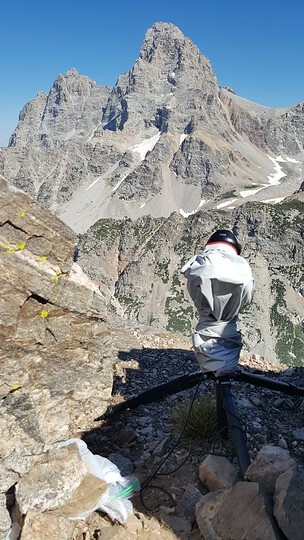 The view facing directly into the Tetons Range was stunning - more than sufficient reward for the challenging hike. It was certainly an exciting eclipse photography possibility. My original plan based on the maps I studied during the flight from Australia was to head out on the north ridge, but this now seemed improbable without technical climbing equipment and a few companions. Instead I headed a short way down the rocky east ridge, far enough to be well out of sight of the crowds I expected to be on the mountain on eclipse day. On a rocky ledge where the mountain dropped precipitously down to Cascade Canyon below, I found a little nook to plant the camera and begun to setup the camera and test the exposure and settings for capturing my eclipse sequence. Selfies are not my forte but I recorded a little video while there to capture the moment. Noting that the breeze whistling through the moutain rocks was already buffeting me even on a fine sunny day, I planted an extra rock on the legs of the tripod. But the afternoon was dragging on by this time, so I packed up, wished my camera good luck and headed back down the mountain. I took the punishing and steep 'Face Trail' back down the mountain - not recommended for any but the strongest of knees. I was well and truly worn out by the time I reached my colleagues for dinner. The hike was fantastic, but I would be worrying about the camera and all the things that could ruin the automated eclipse photography for the next three nights and days. There's a whole other blog post covering the story of Eclipse Day, suffice to say it was fine, sunny and mostly very successful at the South Menan Butte, with two telescopes, two computers and eight cameras madly clicking away capturing totality and the few minutes around it as best I could. After precious little uncomfortable sleep on eclipse eve in the back of the hire car, and after a week of mayhem, I was completely exhausted that night. A celebratory dinner and beer was just reward for the months of work that had led to this. I was looking forward to a long sleep and a quiet day. Alas, the weather forecast for later in the week called for thunderstorms. The exposed summit of Table Mountain would be no place to be in those conditions, so I had to steel myself for a hike straight back up Table Mountain the day after the eclipse. While hiking up the Table Mountain trail again the day after eclipse, it was great to meet people including David, Sean and Michael who'd been camped out on the mountain and enjoyed the eclipse from the summit with 200 others! 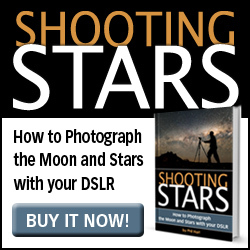 This helped keep the eclipse buzz alive and we shared stories of the experience of eclipse day and our photographic plans. I promised to share what my camera had captured from below the summit if it had been successful. I was also able to tell them that the helicopter that buzzed them during the eclipse (with the giant camera on the front) was filming for a new IMAX 3D movie about Einstein's Incredible Universe. Further up the trail, near the top of the steep climb to the ridge, I met two people who had just been up to the summit that morning. I was surprised to hear they had discovered my camera, but my heart sank when they told me they had found it fallen over. I felt weak at the knees at the thought that I hadn't adequately secured the tripod and that even if the camera had still operated correctly, it would have nothing but a close-up view of the rock ledge it was parked on. To my physical weariness I now added mental distress, trying to console myself that it was still a great hike and would make a great story, even with nothing more than a timelapse of a rock in front of the camera going dark and getting bright again. Particularly as I had noticed very windy conditions on Saturday evening returning from planting another remote camera, I thought it was guaranteed that the camera would have fallen over early in its stay on the mountain. When I eventually reached the camera and started playing back through the images on the camera, I was stunned to find that the eclipse sequence had captured perfectly. I could even see on the back of the camera the twilight glow along the horizon during totality and between the craggy peaks of the Tetons, an effect I had hoped and planned for, keeping the camera at a high elevation to have a view close to the horizon between the peaks on the range opposite. I felt myself the luckiest guy alive, that my camera had survived three days and nights on the Table Mountain summit, and had miraculously only fallen over in the last 24 hours before I returned to collect it. This image is the result and just one in a sequence of 2000 captured in the few minutes around totality. 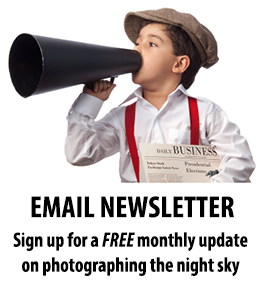 Click the image to view the growing album on SmugMug. The video at the top tells the story and shows my raw emotions and exhaustion when I returned to find it.